The building formerly the police inspectors residence, now home to the Deniliquin Museum. Wheel chair access and a disability toilet are available to visitors. 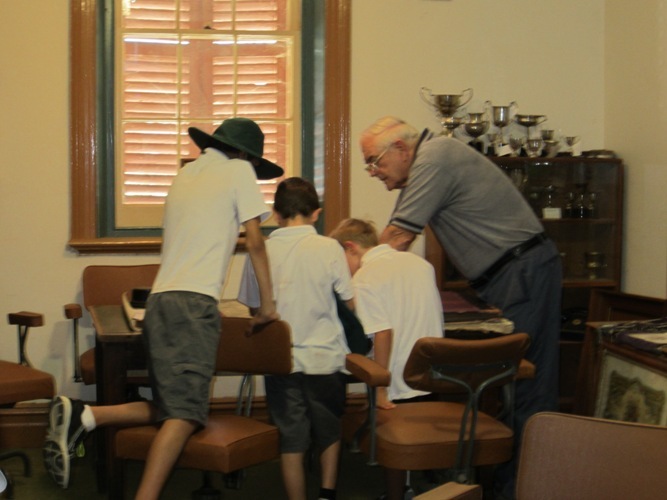 Bill Mulham, president of Deniliquin and District Historical Society assisting school children with their research. A special "Thank You" performance by the band entertaining the community and thanking the museum for assistance given during their band research for their recently published book "Noteworthy". The music room has a display of instruments from the past, band instruments and memorabilia including historic photographs. 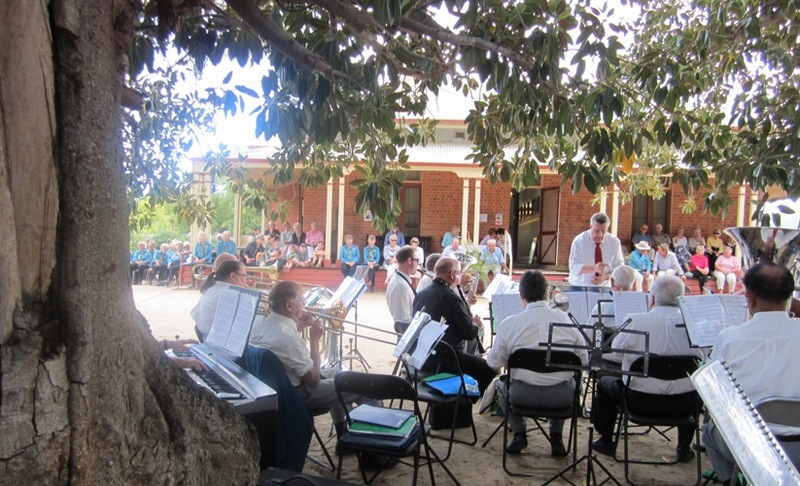 Members of the Deniliquin Municipal Band researching the history of local bands in the Pastoral Times newspapers. The information has since been published in their book titled ‘NOTEworthy’. 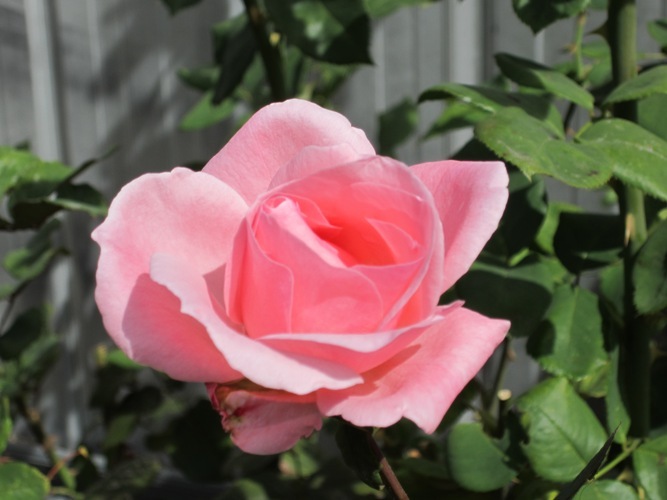 A lovely rose garden at the rear of the building is a great attraction when all the roses are in bloom. Victorian visitors travelled to Deniliquin by bus and spent an enjoyable afternoon at the museum. 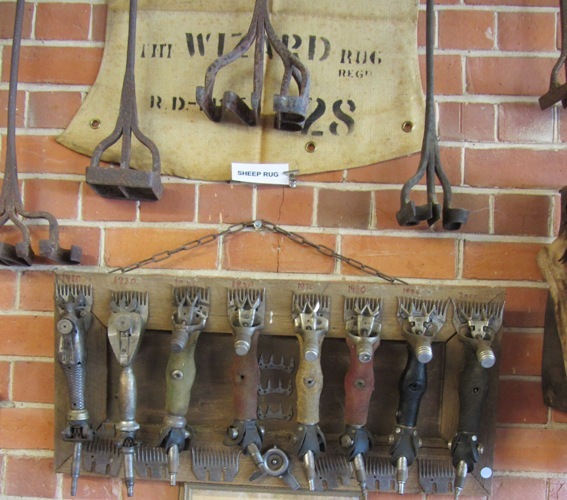 The museum has a selection of rare shearing equipment and items relating to the wool industry, including a horizontal wool press and branding irons. 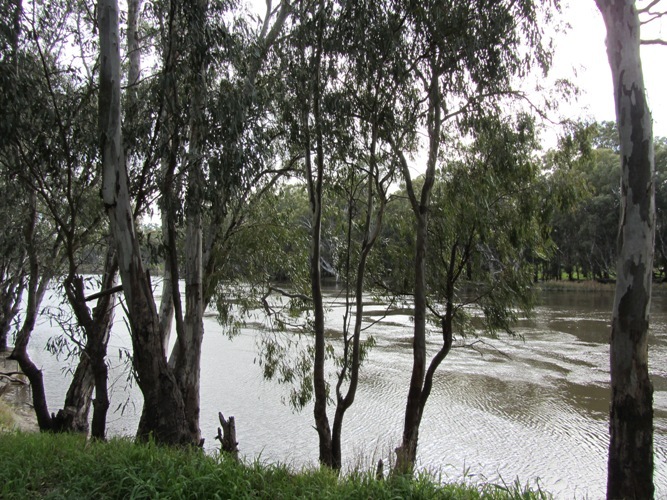 The museum is situated a short stroll alongside the beautiful Edward River. 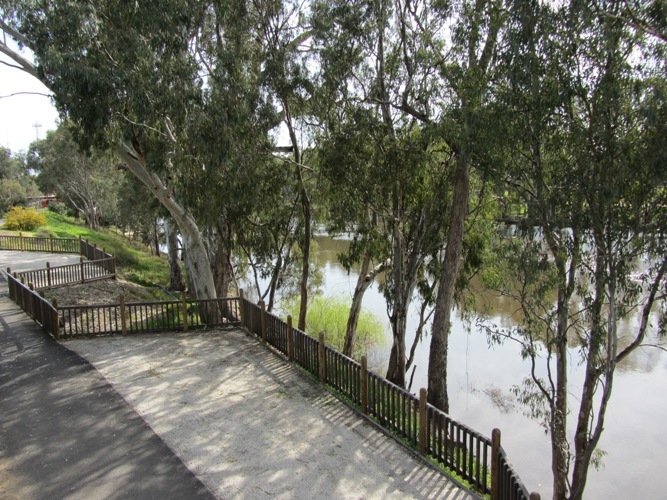 After visiting the museum, why not take a leisurely stroll along the river walkway. If you love early Australian history, then the Museum of the Deniliquin and District Historical Society is the place for you to visit. 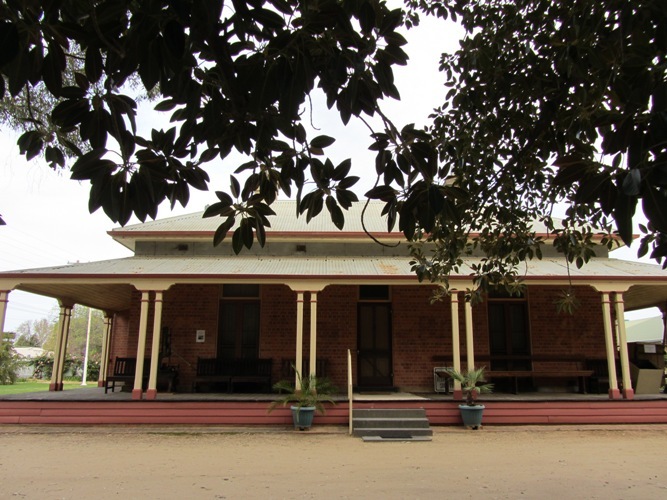 The museum, in the beautiful old building of the former police inspector’s residence, built in the 1880’s, nestles at the end of Macauley Street next to the scenic Edward River. The 1880’s residence is a historic building with several rooms displaying a varied and interesting collection reflecting the different facets of a lively community. 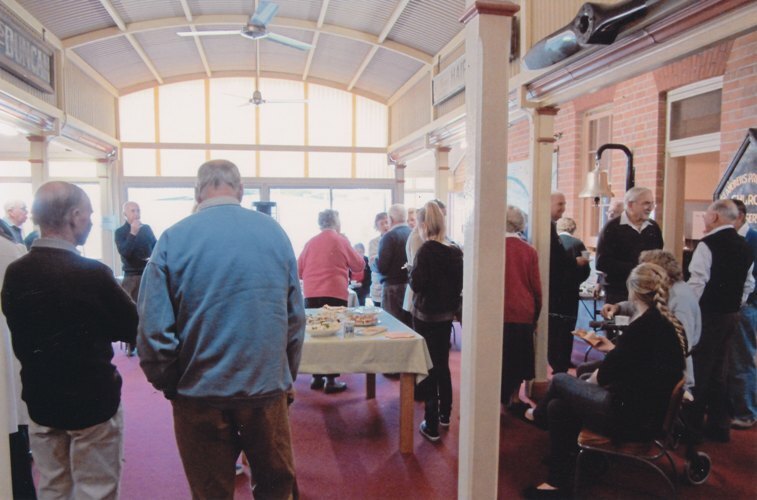 The main attractions of our museum currently on display include items relating to the history of the Deniliquin Town Band, Picnic Races, Red Cross and Shearing Equipment etc. We also feature a War Veterans display of memorabilia, a collection of Police Records and an exhibit of Historical Costumes. A great asset of significance to the history of Deniliquin and district is our collection of the local Pastoral Times newspapers dating back to 1859. These records provide a wealth of added information for those of you who are researching topics of historical interest dating back to days long gone. 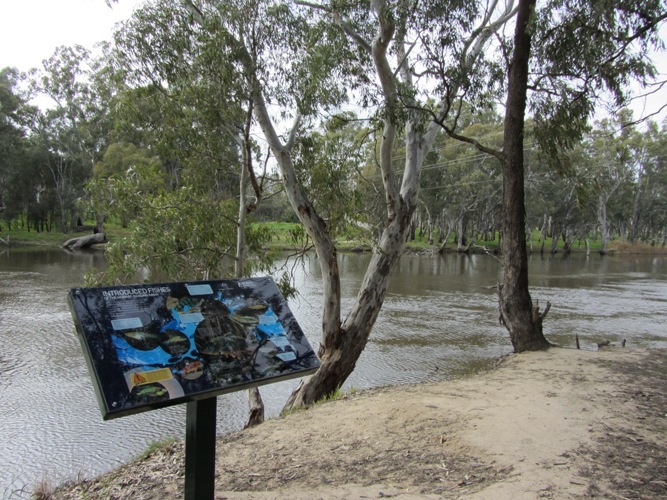 Our museums large collection of exhibits and photographs on display highlight the lives led by the local residents in the early days of settlement alongside the Edward River once recognised as “The Best Crossing Place”. Volunteer members of the Deniliquin and District Historic Society proudly operate the museum and offer a warm welcome to all visitors.